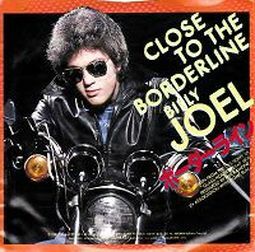 A video for "Close to the Borderline" using short clips from various YouTube videos showing urban street life, tough. © One Final Serenade. Song is © 1980 Sony Music Entertainment. The challenges and ironies of modern life, where you need a doctor for pressure pills but a lawyer for medical bills, and a banker to finance your home but security to back the loan, while a nuclear meltdown looms, are enough to drive one close to the borderline of insanity. But this is not a depressing apocalyptic song, it is a manic rocker, with a melody. It is a theme that Billy explored later in other songs too such as "Pressure" and "Running on Ice." This is another underrated song from the album, it was not released as a single and is not part of Billy's live set today, but would probably be a crowd-pleaser if it was. It has one of the best electric guitar solos of any Billy Joel song (again, by David Brown). "But you can't afford to squander what you're not prepared to pay." Billy Joel in 1980. You can listen to two interesting and very different demos of "Close To The Borderline" on YouTube here and here. The first one is incomplete and has some nonsense or filler lyrics, but it is interesting to hear this early piano-only version. The second demo version is more like the final version, a garage rock version of the final version. It's a fun listen. To the borderline . . .